This document provides criteria for gathering and assembling meteorological information at commercial nuclear electric generating stations and Department of Energy (DOE) nuclear facilities. 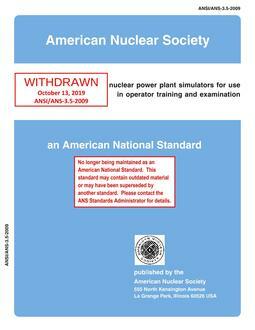 Meteorological data collected, stored, and displayed through implementation of this standard is utilized to support the siting, operation, and decommissioning of nuclear facilities. The meteorological data are employed in determining environmental impacts, consequence assessments supporting routine release and design basis accident evaluations, emergency preparedness programs, and other applications.